The now infamous line uttered by my brother, part way through his evening meal during a first date visit to a Thai restaurant, shortly before his face swelled up to leave him with lips that actress Leslie Ash (of former ‘Men Behaving Badly’ fame) would be proud of! I’ve always been intrigued by Thailand. It perhaps has something to do with my parentally imposed limited exposure to the eastern cuisine when I was growing up, owing to my brother’s nut allergy & the fondness of Thai dishes to include members of the offending food group. So rewind to a couple of weeks ago. It’s June 10th (or ‘World Gin Day’ to you & I!) and I’m stood in ‘Tobacco Docks’ London, with the Gin Foundry’s ‘Junipalooza’ 2017 in full swing. Suddenly, out of the corner of my eye, I catch sight of a stand emblazoned with the name of a distillery that’s recently hit my radar. Not least because they are based in Thailand, having brought their gin all the way over from Bangkok. Sensing an opportunity to put right the wrongs of my sheltered youth, and with my interest suitably peaked, I grabbed my glass and headed over for some purely educational research. School was in session, and ‘Iron Balls Gin’ was my next class. Iron Balls Gin is the brainchild of Ash Sutton, an Australian ex pat who, having developed a stella reputation and a string of bars around Thailand, decided that distilling his own spirit was to be his next endeavour. And with that (alongside a whole host of background work to procure his licensing that we won’t go in to here!) the A R. Sutton & Co Engineers micro distillery was born, right in the heart of Bangkok. Here is an example of small batch & craft distilling at its finest – a romantic combination that never ceases to tug at my heart strings. The size, or more specifically ‘lack of size’, of the distillery dictates a very modest 100 bottles per batch. But what Iron Balls may lack in physical stature, they more than compensate for in their craft ethos. This is a gin that is meticulously handmade from first fermentation right through to the distilling of the final product. What I particularly love about this gin is that they not only know where their base spirit comes from…they make it themselves! ‘Not totally unique’ I hear you say, and I would agree. But what makes the ‘Iron Balls’ process stand out is their use of fresh coconuts and pineapples, which are respectively cracked and chopped by hand (and you thought peeling a few lemons was tough!) before being fermented in to a tropical alcohol base befitting of the flavours of its Thai heritage. Now. Let’s address the elephant in the room shall we? The name; Iron Balls. I’m willing to bet that a smile appeared on your face upon first glance. I’d stretch as far as to say there may have even been an audible chuckle at the slogan ‘You always have options if you have balls’! This comes across as almost being a finger in the air to the more conventional expectations of a gin brand, encompassing the attitude of the coolest kid at school, who always insists on playing the role of ‘class clown’ at the back of the classroom. 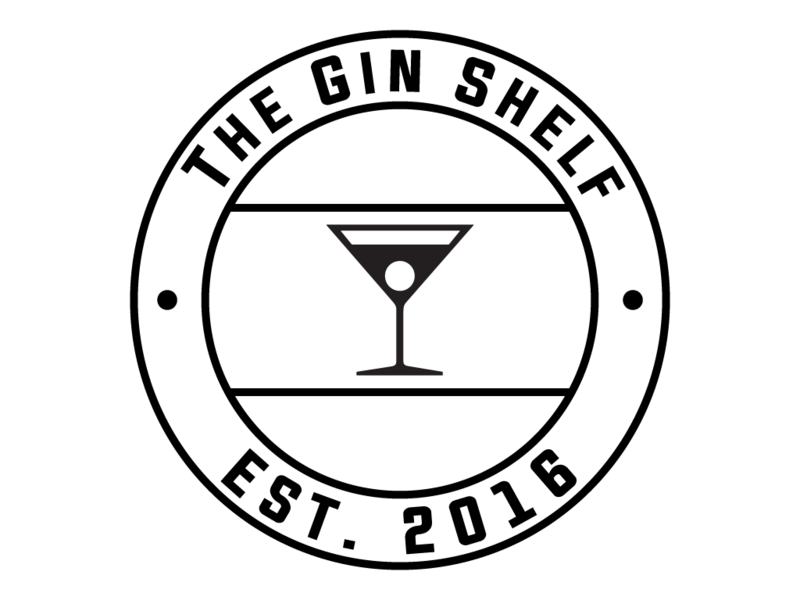 But don’t mistake this for a brand that’s not taking their gin seriously – the seeming light heartedness starts & ends with the name. On closer inspection, you’ll find that this gin takes its name from ‘Iron Balls 1’, a flying vessel that’s ‘capable of pushing well and beyond the Earths exosphere and into the the vast abysses of space. With a seating capacity of 1 adventurer and a limited fuel capacity that can also be consumed it is designed never to return to Earth’. And it’s this sense of excitement that Sutton aims to encapsulate between each individual adventurer and their very own vessel (the drinking kind of course!) as they experience a gin that elevates them to new levels. (I know, deep huh!). Meanwhile, back at Junipalooza, and I arrive at their stand to be warmly greeted by Carson Quinn, Iron Ball’s very own barman all the way from the Bangkok HQ. With a swagger, style and the body art to boot, Quinn epitomises the ‘too cool for school’ heart beat of the brand he represents. Chuck in to the mix that he’s the nicest guy you’re likely to meet, particularly considering his ability to keep on top of the hive of activity around the samples table whilst talking to me about the gin, and you have a winning combo! The first thing that you notice about this gin is the stunning bottle; for my money this must be one of the coolest designs on the market. It’s shorter, almost ‘squashed’, body makes it unique and helps it to (somewhat ironically) stand tall in the crowd. There is also a very practical purpose to the shape, with the bottles wider base helping to protect the precious cargo from breakages on the container ships when it leaves Thailand in search of bar shelves far & wide! Genius at its simple best! Personality oozes from the labelling, from the aforementioned slogan across the front and centre to the embossed brass collared neck that houses a skull & crossbones cork stopper. And whilst I won’t pretend that removing and replacing the cork was the easiest of endeavours…it makes for a damn fine looking package! On the nose, pineapple is the most prominent scent. Olivier Ward, from ‘The Gin Foundry’, notes an aroma that reminds you of those 2p ‘Fruit Salad’ sweets you’d buy with your pocket money as a kid. And I’m delighted to admit that I can’t think of a better or more accurate description! It forces you to reminisce and promotes a feeling of childlike fun. Fresh fruits, particularly ripe mangos, and lemon grass fill the space between the glass and your nose. Though leave it to open up a little and you’ll find complementary coconut tones bring a mellowness to proceedings. Now, it has to be said that there is not a strong personality of juniper within this gin, but the subtle suggestion of herbal qualities provide just enough of a savoury sense to cut through the sweetness of the fruits. When sampled neat, make no doubt about it. This gin has ‘balls’! There is a heat to the spirit that I found surprising, despite the initial ethanol scents that greet you. But the fact that it packs a punch is not to say it’s unpleasant – far from it! The flavours linger. And whilst pineapple remains the dominant force, those herbs really start to pop. When a little water is added to the party, there’s a cassia quality to the flavour profile, and the coriander becomes more obvious. My final assessment? ‘Balls’ to it, I’ll just come out and say it. I love it! Adding a premium tonic (I went for Fever-Tree Light), paired with a garnish of fresh pineapple and basil leaves, it makes for a magical gin & tonic. It is both silky smooth and perfectly balanced. The coconut becomes a little braver, whilst always playing a supporting role to those huge flavours of pineapple. The presence of the basil leaves really pull some of those herbal botanicals to the forefront, allowing them to show off a little. Swapping your tonic for a Mediterranean variety only goes to further showcase the depth of flavour within this very exciting drink. But then what would you expect from a gin that was only perfected after 600 recipes were painstakingly attempted? (See. I told you they were serious! ).